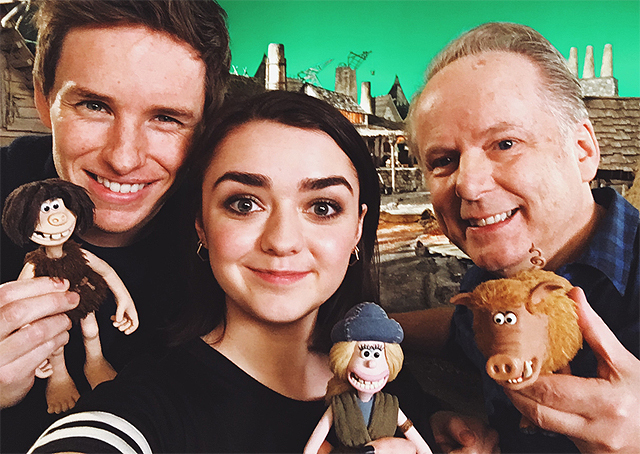 Aardman Animations and StudioCanal announced today that Maisie Williams (Game of Thrones) has been cast in Nick Park’s highly-anticipated new prehistoric comedy adventure, Early Man. Check out the new pic along with other production photos in the gallery below! Maisie joins the cast voicing Goona, the gallant and indomitable rebel who befriends the film’s hero Dug (Eddie Redmayne), and helps steer him through the clash of the Stone Age and Bronze Age civilisations. 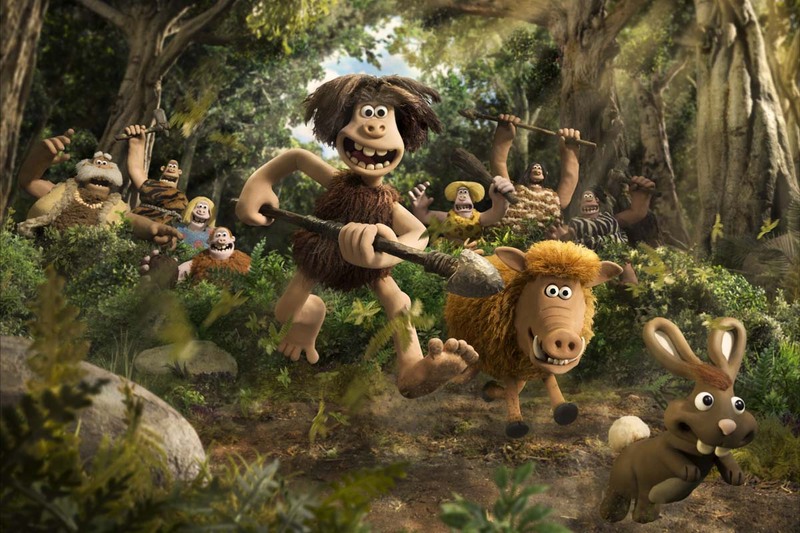 Set at the dawn of time, when prehistoric creatures and woolly mammoths roamed the earth, Early Man tells the story of how plucky caveman Dug, along with sidekick Hognob unites his tribe against the mighty Bronze Age in a battle to beat them at their own game. It also marks Nick Park’s first feature film since Academy Award winning Wallace and Gromit: The Curse of the Were-Rabbit. Early Man unleashes an unforgettable cast of hilarious new characters. Cameras are rolling in Bristol with Eddie Redmayne and Tom Hiddleston previously-announced as the voices of Dug and Lord Nooth, respectively. In the past year, Maisie has been nominated for an Emmy for supporting actress for her role in Game of Thrones. In addition, Maisie has won Young British Performer at the London Critics Circle Film Awards and Best Breakthrough Performance at The Evening Standard British Film Awards for her role in The Falling. Early Man continues the production partnership with Aardman and StudioCanal following the success of Shaun the Sheep Movie, directed by Mark Burton and Richard Starzak, which grossed $106 million worldwide. StudioCanal is co-financing and will distribute in its own territories, the UK, France, Germany, Australia and New Zealand, selling worldwide.